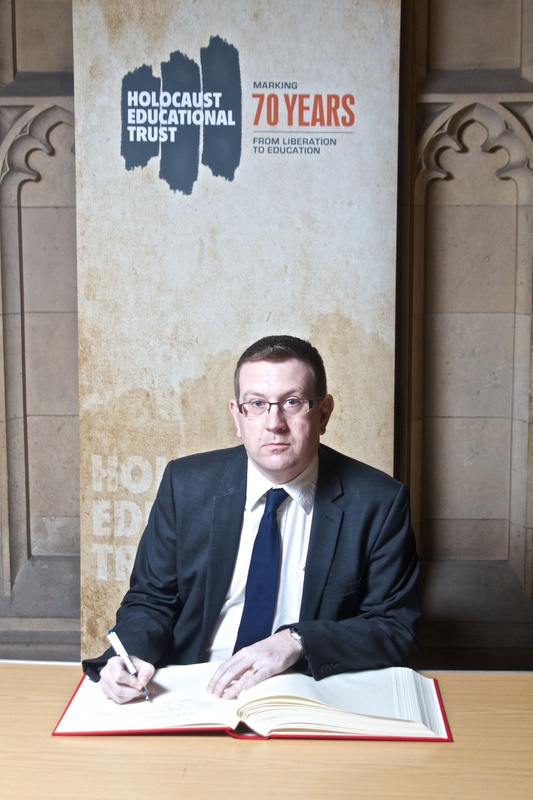 This week Andrew Gwynne MP signed the Holocaust Educational Trust’s Book of Commitment, in doing so pledging his commitment to Holocaust Memorial Day and honouring those who were murdered during the Holocaust as well as paying tribute to the extraordinary Holocaust survivors who work tirelessly to educate young people. Tuesday 27th January will mark the 70th anniversary of the liberation of the Nazi concentration and death camp Auschwitz-Birkenau, the site of the largest mass murder in history. In the weeks leading up to and after Holocaust Memorial Day, thousands of commemorative events will be arranged by schools, faith groups and community organisations across the country, remembering all the victims of the Holocaust and subsequent genocides. “Holocaust Memorial Day marks the anniversary of the liberation of the Nazi concentration and death camp Auschwitz-Birkenau – and is an important opportunity to remember the victims and survivors of the Holocaust and make sure they are not forgotten.